The <!DOCTYPE> declaration is not an HTML tag; it is an instruction to the web browser about what version of HTML the page is written in. The charset attribute specifies the character encoding for the HTML document. Div tag denotes division or a selection in document. Here it is a container for map with id as map, width and height as 1000px. Now to add OSM (Open street map) in division we create a variable named as newMap. Here L.map represents object of map class takes Html element as parameter. Setview is a method that set the center and zoom level according to given parameters. The tileLayer represents object of tileLayer class that takes URL of data. Here we have given OSM tiles in parameter. In attribution key you need to define the contribution of data source. You are free to copy, distribute, transmit and adapt OSM data, as long as you credit OpenStreetMap and its contributors. For this you need to add http://osm.org/copyright into your document. Method addto() adds the layer to the given map. 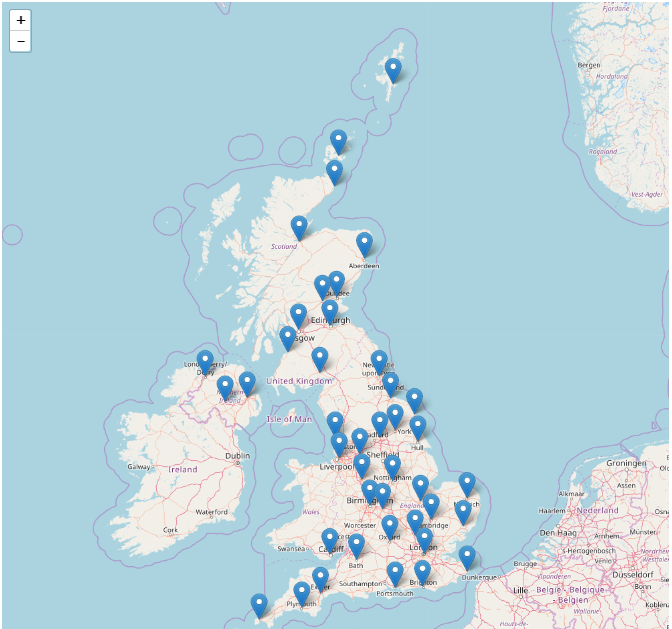 As data is now added to the map by using addTo() method. Now to get the area covered by topojson file on the map or directly pan to the area where this data has rendered you can use the methods getBounds() and fitBounds(). The getBounds() method returns the geographical bounds visible in the current map view. Here this method is used with geoJSON layer to get its bounds or diagonal corner coordinates. The fitBounds() sets a map view that contains the given geographical bounds with the maximum zoom level possible. “var places = topojson.feature(uk,uk.objects.places);” command has used which shows the places (geometry primitive as points) on the map. If var subunits = topojson.feature(uk, uk.objects.subunits); command you use then it will show the subunits (geometry primitive as polygon) on the map. That is all about read, parse, render Topojson file with Leaflet js. 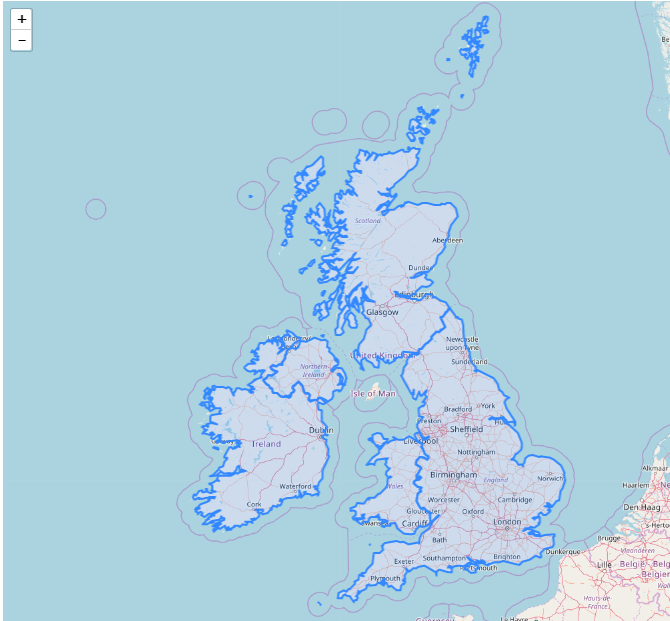 You may also look in to rendering point, polyline and polygon geojson file with leaflet js. If you find any problem in Rendering TopoJSON file then do comment below, I would love to help you in providing solution.